In previous post I shared a descriptive article about the new design layout which is rolled out by YouTube for their users. 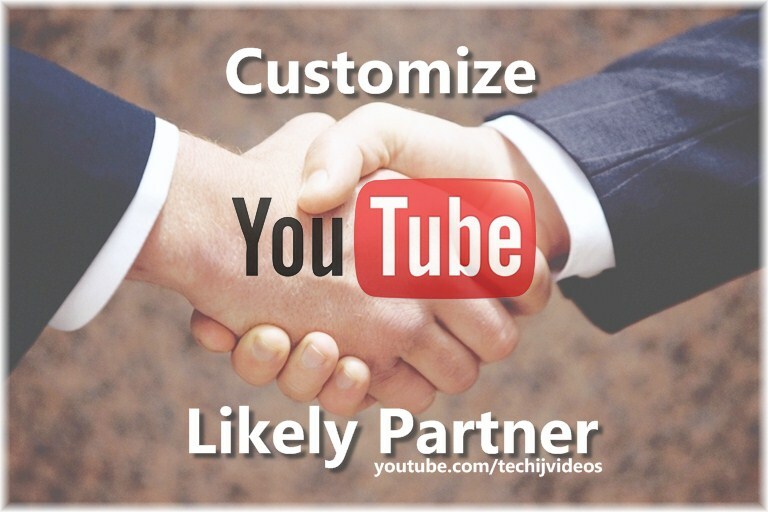 As I already discussed about all attractive important features in previous post which are available in new YouTube Interface so, I would highly recommend you to read it first before move towards customization. First of all you need to login to your YouTube account, and on visiting your own channel, there you would see nothing new. Now in a new tab visit Techij to get a look that how latest interface looks like. Once you landed, you will see a notification bar with notice that “This channel is using new YouTube One Channel. Learn more about the new design”. Clicking that bar will drive you to their official page, scroll down the page and then click on Get Started button. Congratulation! Now your channel has been upgraded. Once you shifted to a new look, a small window will pop up with an option to click next button in order to take a quick look at what’s new. New YouTube Header is the most advanced one, and allows all users to give a Solid, attractive and Professional impression to visitors. If this is the first time for you, then click on Add a Channel Art button appears in center of Grayish header section, or otherwise click on Edit Icon appears on top right corner in same section. Then a new sub-window will pop up, in which you have three different options to select channel art either via from your computer, or from your online photo album and in last from YouTube Gallery. But I will not recommend you to use from there Gallery because that images are not just simply wallpapers, not especially designed for cover photo and out of dimensions. After selection of picture Adjust the crop because channel art is bit different across devices; Mobile, Tablet, TV, and Desktop. To insert links in YouTube header go to Edit Links, and add as many links you want either custom or social. But on the header only 1 custom link with title of maximum 30 characters and up to 4 urls of social profiles will appear. After Enabling Browse view in Channel navigation you will get access to insert a trailer video and to customize your channel sections .Use sections to organize your videos and playlists. They already created few one’s for you to get an idea how they looks, help to take start, by adding more, edit them, and in arrangement as you want. You can customize YouTube Channel page by doing more tweaks but, unfortunately there is no option to customize YouTube background or to simply create your own.